If you want to stay in a central location in Oslo, we have 10 hotels right in the city centre. 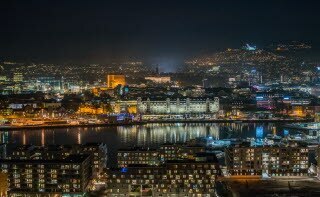 All of them are close to public transport networks, the city’s best shopping districts, and Oslo’s vibrant nightlife. No matter which hotel you choose, you are within walking distance of everything Norway’s capital has to offer. As the Nordics’ largest hotel chain, we have a wide selection of hotels in the capital city. If you like having everything at your fingertips, stay at one of our Oslo hotels and experience the buzz of the city right outside your front door. This is just a fraction of what you can experience when you stay in the city centre of Oslo. If you wish to stay close to Oslo central station. Stay in the more urban part of Oslo, right next to Mathallen food hall and the lively area around Akerselven river. Stay on the main street of Karl Johan, just around the corner from the shopping district. Close to Astrup Fearnley Museum, Aker Brygge or Slottsparken. 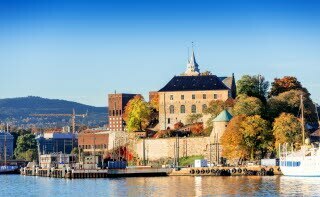 Oslo offers plenty to discover, whatever your tastes! Stay in the heart of Oslo, right by Karl Johans gate and the Opera house. Make use of our conference centre, and end the day with a meal at Bjorvigen Mat & Vinhus. Stay centrally by Grunerlokka, in a young and urban environment. Perfect for those who like design, culture, and food and beverage, with Mathallen food hall right next door. Stay centrally in Oslo, right by Karl Johans gate, Stortinget parliament, and Spikersuppa. Our hotel is perfect for both business travellers and holidaymakers. Stay centrally at Solli with a lively nightlife and walking distance to the city’s shopping and attractions. Check out V Solli Bar & Spiseri and book your next meeting with us.